How about getting RC Helicopter or robot toy to reward your child reading efforts. For kids that find reading a difficult task a reward may do the trick. My daughter was not fond of reading but I knew I had to do something to make her read more until she was fluent reader. At the same time I did not want to develop negative associations with reading so I tried not to push her in to reading book. Borrowed audio books from library or rental stores and let her listen to them just before she goes to sleep on the nights when I am not reading to her. Bought or borrowed books that we already had in audio format and those that she liked the most. 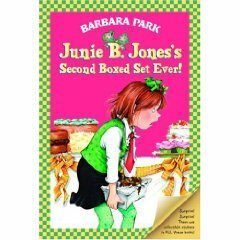 By the way Junnie B. was her 1st favorite book. Allowed to watch 30 min of TV only after reading 1 chapter which is about 6-10 pages. Gave her RC Helicopter for reading 150 pages. Actually this idea came from my child. When she saw our neighbor was flying a remote controlled helicopter she said to me she would do anything to get it. I told her I would get this helicopter if she read 150 pages. It worked out very well. You don’t have to spend a lot of money to get rewards for reading. I knew if I would go to a mall to get this RC helicopter I could easily spend over 100 dollars. But because reading takes time I used this time to research my options on Internet. You can get 3 RC Helicopters (Intelli Heli) for fewer than 80 dollars or one helicopter for 23 dollars. I got her this package of three Radio Controlled Helicopters (it was buy 2 get one free) and she had so much fun with her friends. Earn reward first and then share it with others what can be better? I was so thrilled to hear my daughter telling her friends that she was reading really thick books and she got this cool toy because of that and now she wanted them to come over and play together.